Becov Nad Teplou is a picturesque historic city between Mariansky Lazne and Karlovy Vary in the magnificently beautiful Czech countryside. We will visit the castle interiors and the priceless shrine of St. Maurus. 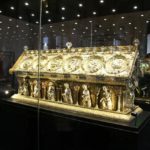 A priceless solid gold reliquary only of which 3 exist in the whole of Europe. More priceless even than the Czech crown jewels but did not originate in Czechia. 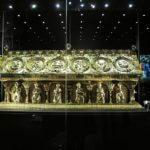 It is a must see priceless treasure. During WWII the priceless Maurus was owned by the Beaufort’s family who were Nazi sympathizers. Before fleeing back to Germany after the war the Maurus disappeared and was assumed hidden somewhere. 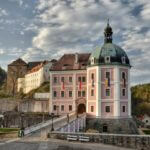 In 1984 a US citizen started negotiating with the Czech state about return of some possessions in the Czech lands. Czech authorities were suspicious about what the object of possession possibly was. After lengthy investigation criminologist found the Maurus buried in the castle floor. On this tour we will see this incredible priceless artifact now on display in the Becov Castle. 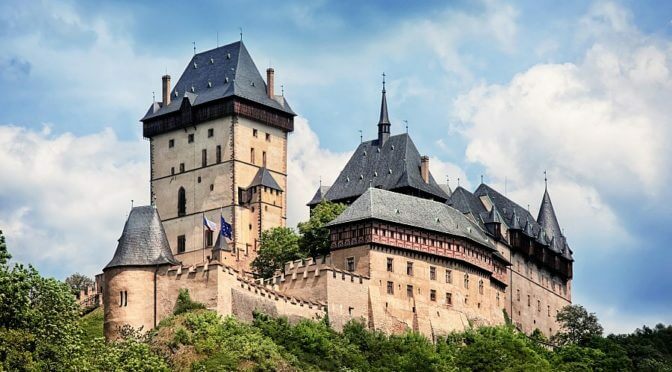 The famous Karlstejn Castle was built in the 14th century by Czech King Charles as his place of residence, It is seated in the beautiful forest on a large hill overlooking the Vltava river. 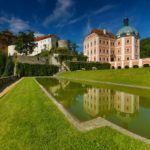 It is an immense fortress built in the 14th-century Gothic style and is home to the royal treasure with incredible wall paintings & portraits of Czech noblemen and kings. 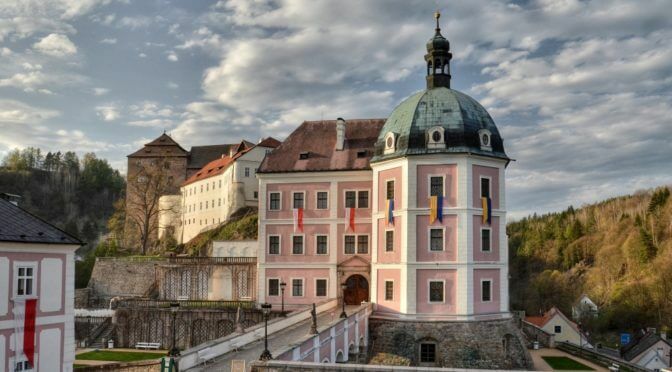 We will pick you up at your hotel and proceed to the city of Karlstejn where we will tour the city and visit Karlstejn Castle and then have a nice Czech lunch (OPTIONAL) in the beautiful nature with running streams, birds singing, and wonderful fresh air. Then continue our tour of the city and castle before return to your hotel around 4:00 pm. 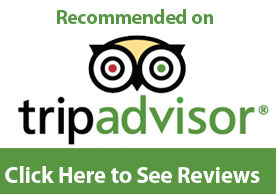 It is a wonderful place to visit while in Prague and great for the whole family, couple or individuals.